Home politics Comedian Ali to join YSRCP! Comedian Ali to join YSRCP! Comedian Ali has met YSRCP president YS Jagan on December 28th in the Airport and praised Jagan for his padyatra. Now he has made it official that he will be joining YSRCP on January 9th. On the same day, Jagan completes his padayatra. 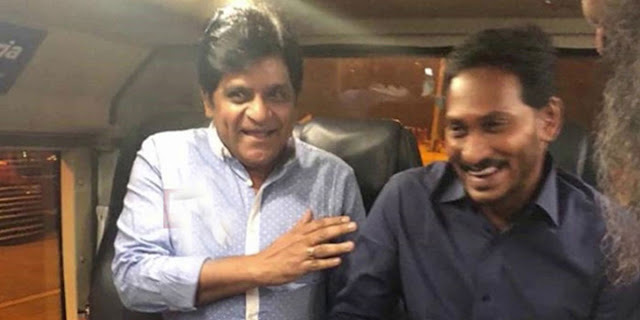 Ali has been trolled with harsh comments by Janasen supporters when he first met Jagan, as Ali was close associate of Pawan Kalyan in film industry. However, Ali has chosen to join YSRCP instead of his friend's Janasena.